This project aims to contribute to the enhanced social and economic status of women in 17 Women Agriculture Cooperatives (WAC) in the Cambodian provinces: Kampong Speu, Kampong Chhnang, Pursat, and Battambang. 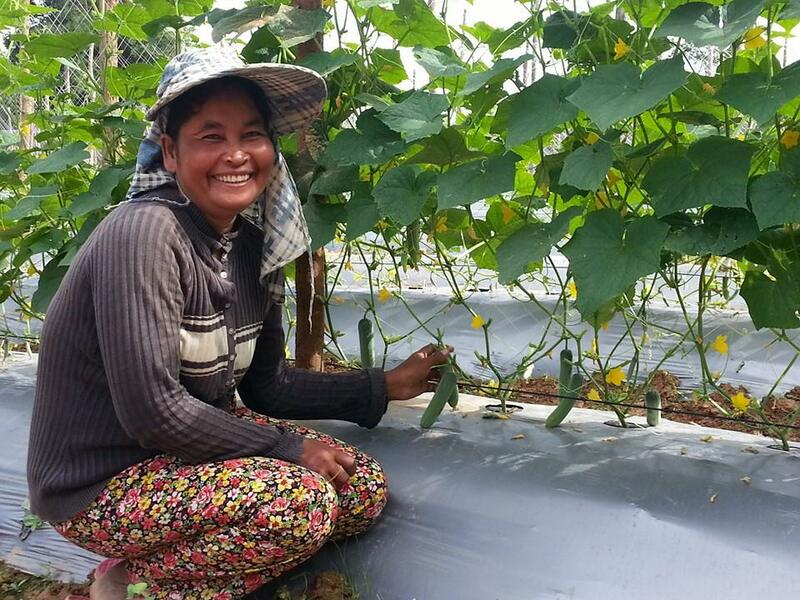 The program aims to contribute to the enhanced social and economic status of women in Women Agriculture Cooperatives (WAC) in the Cambodian provinces: Kampong Speu, Kampong Chhnang, Pursat, and Battambang. Despite of a lot of progress in the WACs in recent years, WACs focus on a limited variety of products and the quality of the products is poor. Farmers also lack access to quality seeds and market information. WACs have limited capacity and skills especially in entrepreneurship and business management and their financial systems and other record keeping is poor. There is a high demand for good quality or organic vegetables in Cambodia, but WACs lack the knowledge of growing the vegetables based on the Good Agricultural Practices (GAP) standard or producing organic crops. Moreover, the WACs still face the limited access to markets and capital to support for their investments or growth. The project therefore focuses on the emerging need to connect the WACs better to the markets. The overall objective of the project is to contribute to enhanced social and economic status of women in agriculture cooperatives in Kampong Speu, Kampong Chhnang, Pursat and Battambang. The specific objectives are: (1) Improved business capacity of women in running the WACs; and (2) Enabled business environment for supporting sustainability of WACs. This project is implemented together with FCA and LWD and funded by Womenâ€™s Bank. The rights holders will include the 17 Women Agricultural Cooperatives (WACs) and their current and new members who are and will mainly be women. Rights-holders directly benefiting from the project will be 9,200 WAC members (7,2OO women, and 1,550 youth between 15-30 years, 450 poor women). The project will target especially vulnerable and poor women so that they can benefit from the operations of the WACs. lndirect beneficiaries will include the families of WAC members, approximately 30,000 people in the targeted communities.